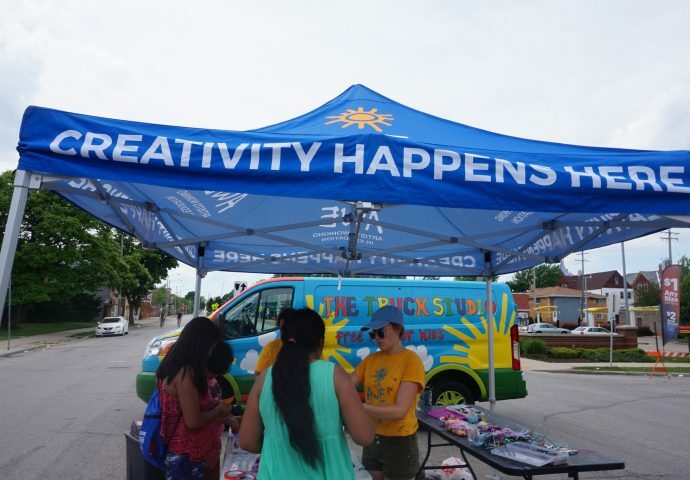 Staff from the AWE Truck Studio engage children at the arts and crafts station. 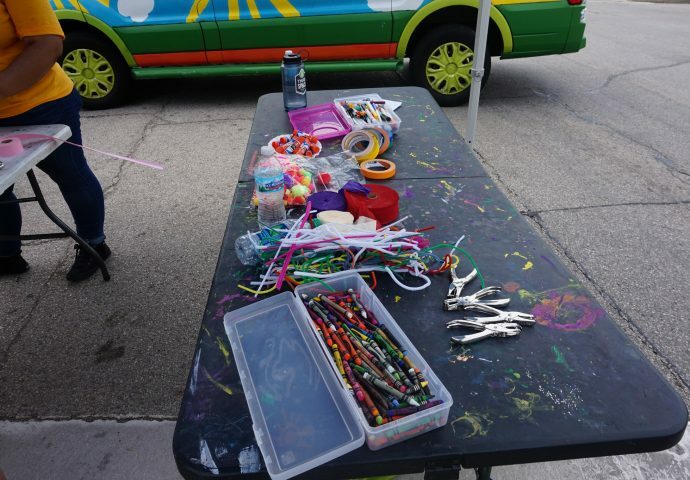 Arts and crafts supplies were provided for visitors. South Side children enjoy a day of fun activities. 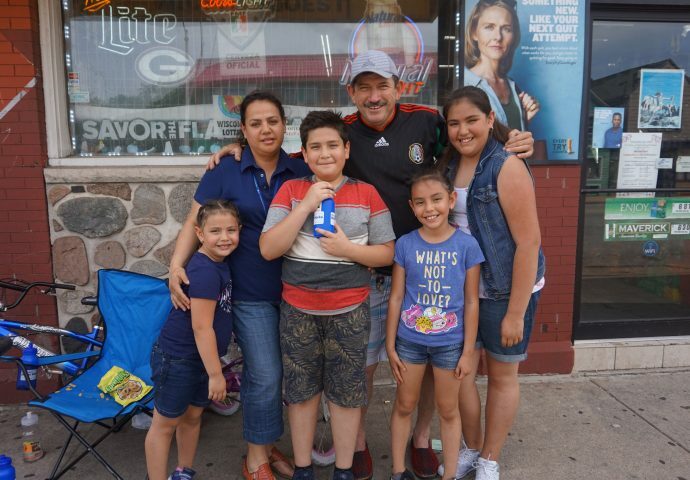 The Gonzalez family poses at Ciclovia MKE. 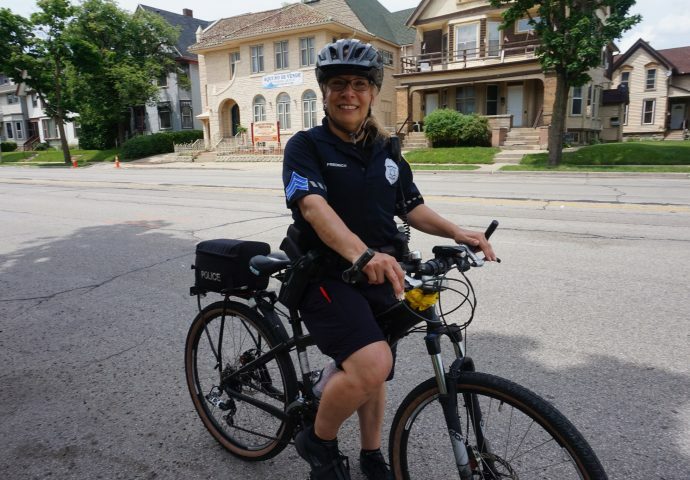 Milwaukee Police Department Sgt. Emily Friedrich rides her bike through Clarke Square during the event. 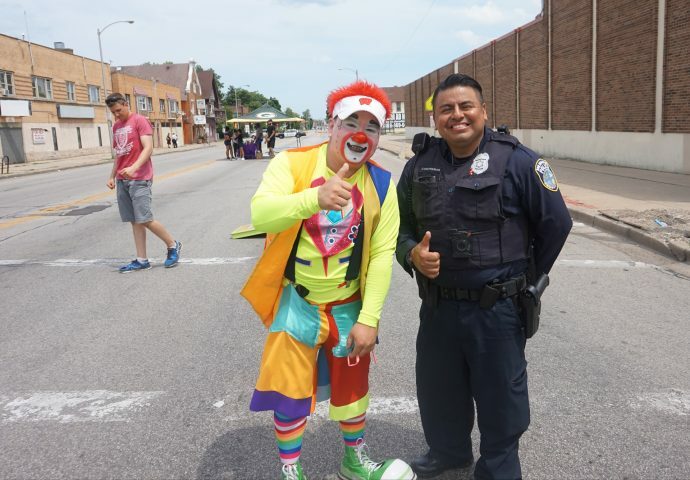 Milwaukee Police Department District Two Community Liaison Officer Eliel Contreras poses with a clown hired for the event. Bicycles were on in full force in Clarke Square during Ciclovia. A family bikes together in Clarke Square. 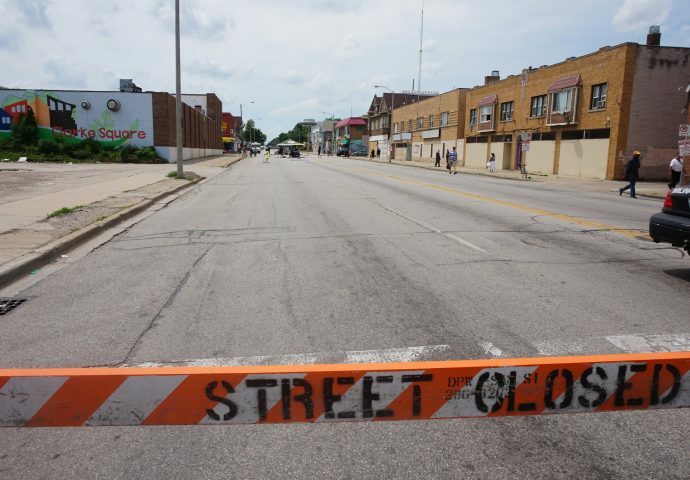 More than a mile of city streets in the Clarke Square neighborhood closed to automobile traffic for Ciclovia MKE on a recent Sunday. Despite the sweltering heat, the streets were filled with opportunities to engage in a variety of sports, games, art and music. 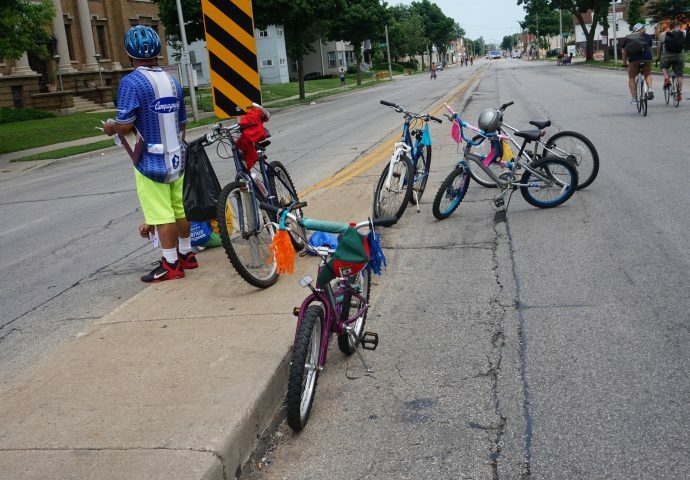 Families were able to ride their bikes on automobile-free streets and engage in other outdoor activities along Cesar E. Chavez Drive to National Avenue. 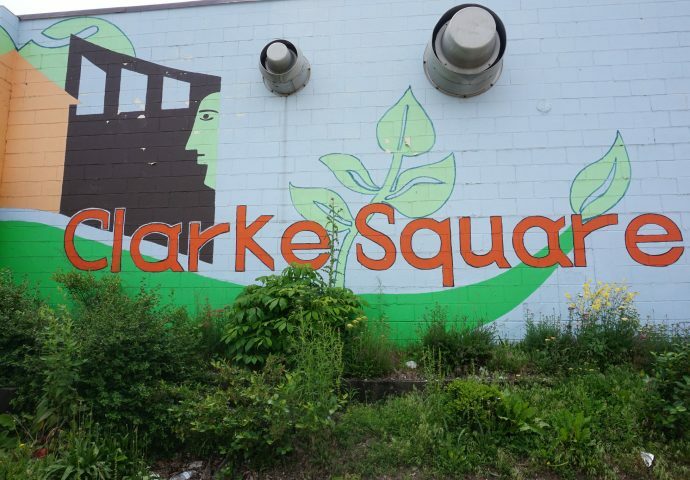 The event was held in partnership with the Clarke Square Neighborhood Initiative (CSNI), Safe & Sound, and the Cesar Chavez Drive Business Improvement District, among others. The first Ciclovia launched in Bogotá, Colombia more than four decades ago, according to Ian Bautista, executive director of CSNI. 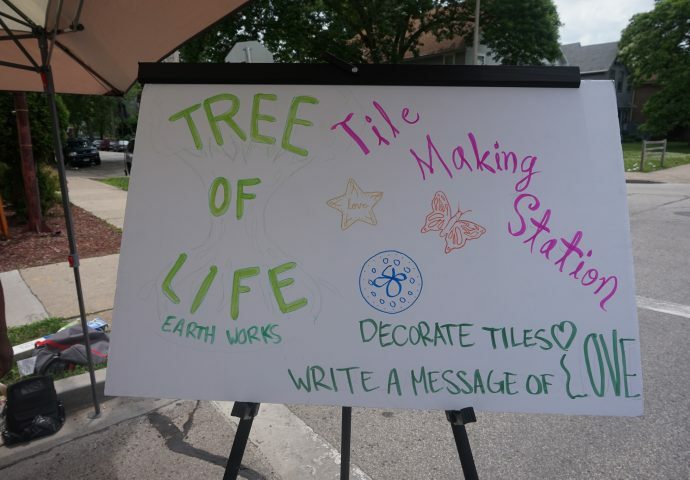 “Since then, streets in neighborhoods and cities all over the world have been returned to the people and transformed into inclusive spaces of celebration and recreation,” Bautista said. 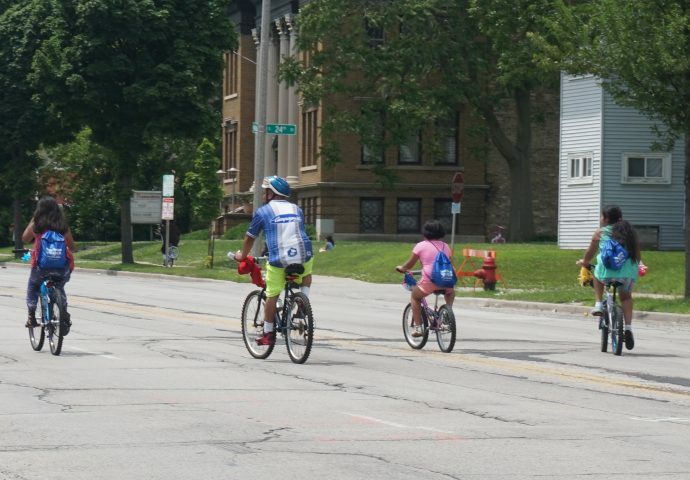 “We’re thrilled with the continued growth of Ciclovia MKE and proud of the contribution that this local initiative makes to health, community development and social equity worldwide,” he added. Thanks to NNS for the coverage. 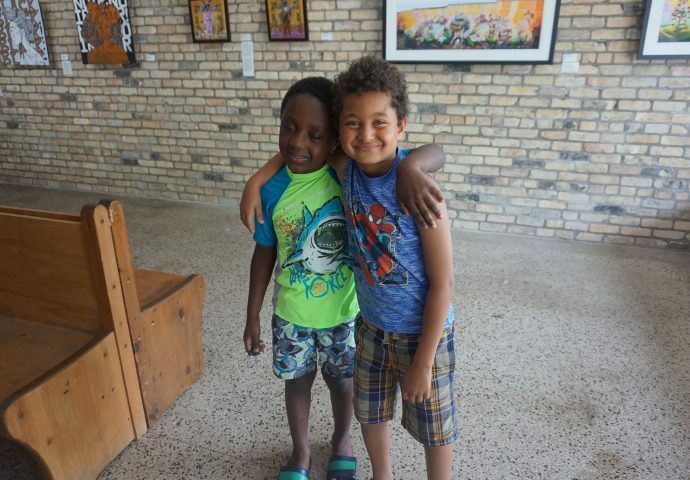 We always appreciate your commitment to sharing the good news emanating from Milwaukee’s neighborhoods. A slight correction on the photo with the MPD Officer and the clown. The officer is MPD District Two Community Liaison Officer Eliel Contreras (not Sergeant Jerónimo Contreras). I’m sure he may appreciate the promotion, though!